Pearlie is used by actors in film and theatre, models and media people to improve on and off stage/screen appearance. Instant tooth whitening results - tooth whitening when you want it - weddings - evenings out - parties - or as part of daily makeup routine. Pearlie forms a cosmetic layer over discoloration (e.g. grey tooth, yellow teeth, discoloured teeth, tobacco stains, stained white fillings) to give the appearance of naturally white teeth. Pearlie is equally safe and effective on stained teeth, dentures. 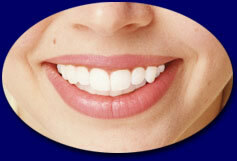 Whiten discoloured veneers, crowns, bridges and caps. Pearlie helps whiten discoloured teeth and other visible imperfections. According to some of our customers Pearlie literally changed their lives - enabling them to smile confidently again. Pearlie has been on sale in the UK since 1981. 100's of thousands of bottles sold. Pearlie is only available from Booth Elliott & Co Ltd the sole manufacturer and on-line distributor. Pearlie is totally harmless, totally non-toxic and safety assayed. Booth Elliott & Co Ltd use NetBanx secure servers for 100% secure on-line payment and accept all major credit cards. 3D Secure. We despatch on-line orders worldwide from the UK. Pearlie is simple to use and highly cost effective. Pearlie makes your teeth look naturally white .. you can smile again.